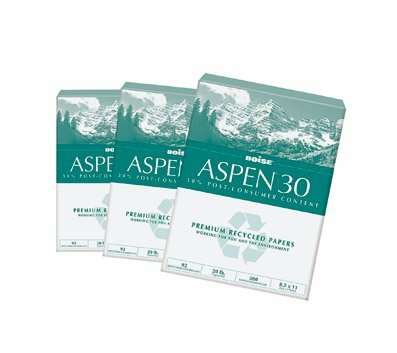 Aspen 30% recycled copy paper is designed for those who put "green" at the top of their priorities. 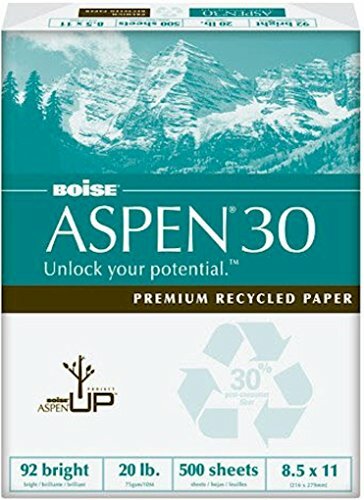 Paper is great for the environment and ideal for black and white copiers, fax machines, laser and inkjet printers, and can be used everyday. 20 lbs density, SFI certified, acid free paper measuring 8 1/2"x 11" is archive safe, sold as single 500 sheet ream.